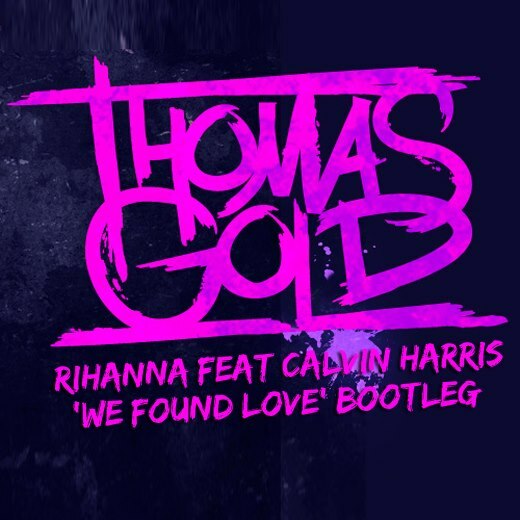 Rihanna's single "We Found Love" which features Calvin Harris, is a single that has been remixed to the extent that you no longer can recognize the original from another generic remix. If you're familiar with Thomas Gold too, you must be used to his soft and luring builds that slowly build their way up into a progressive house style. When you get Thomas Gold remixing a single that has been remixed more times than you can count you know you can't stick to the usual scheme of things. The latest from Berlin-based DJ/producer is a new bootleg of Rihanna's ridiculously radio-friendly single. This is no usual Thomas Gold track though, the refix is a heavy and aggressive and has all the dutch prog you could ask for. Thomas takes the song's original electro elements and adds his own personal touch making the original soundscape a big house explosion. With high kicks, huge snares and a fast beat this new remix is sure to have you moving. It's a dutch house collision of pop music combined with the aggressive side of electro. What more could you ask for? there was a discussion on my local pop radio station yesterday about how this song was ENTIRELY written by Calvin Harris but due to her huge name Rihanna is credited with it as her song (the original). Thomas Gold finds himself again in big room with "The Chant"